Looking for new writing prompts and other useful writing and teaching ideas? Writing is challenging at times -- even for professionals. But teaching English writing (and learning it as a new language) can be even more difficult. Sometimes it helps to have new ideas, a new perspective...and fresh, original writing prompts to inspire you. That's why I write this newsletter. It's a simple, straightforward newsletter, and ... it's free. 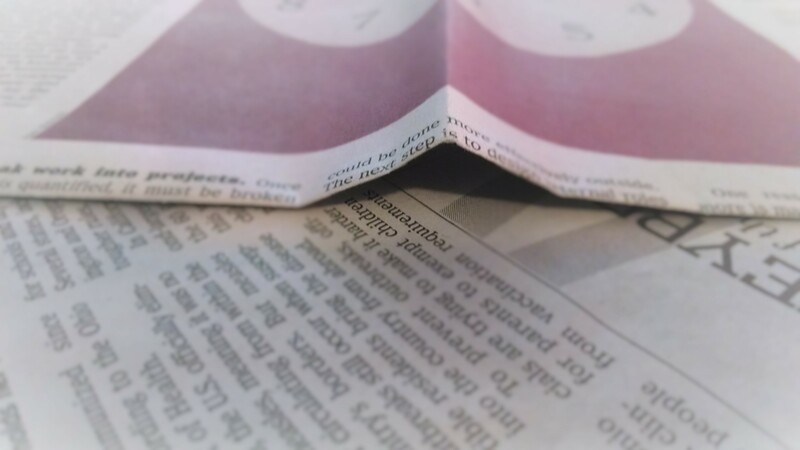 Since I knew you would ask, I put together 10 reasons why subscribing is a great idea. The newsletter is short. Each newsletter is usually less than 1,000 words. That means you can read it quickly. The content is relevant and useful. Each time I write the newsletter, I think of my audience and the best way to convey the content in a way they appreciate. If the information is useful or can be applied by writers, writing teachers, or English language learners, then I write about it. If not, I find something that can. 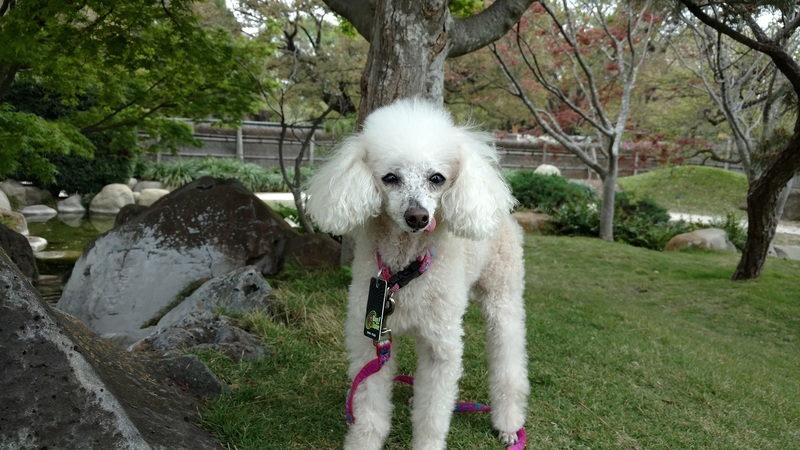 I have you in mind each time. The newsletter is organized to help you find what you want to read--fast. Sometimes, you may just want to read the writing prompts. May be you're a teacher and it's Monday morning (or Friday afternoon) and you need to get the kids thinking and writing. In that case, you will find the organization of the newsletter very helpful. Titles and dividers make finding what you're looking for easy. 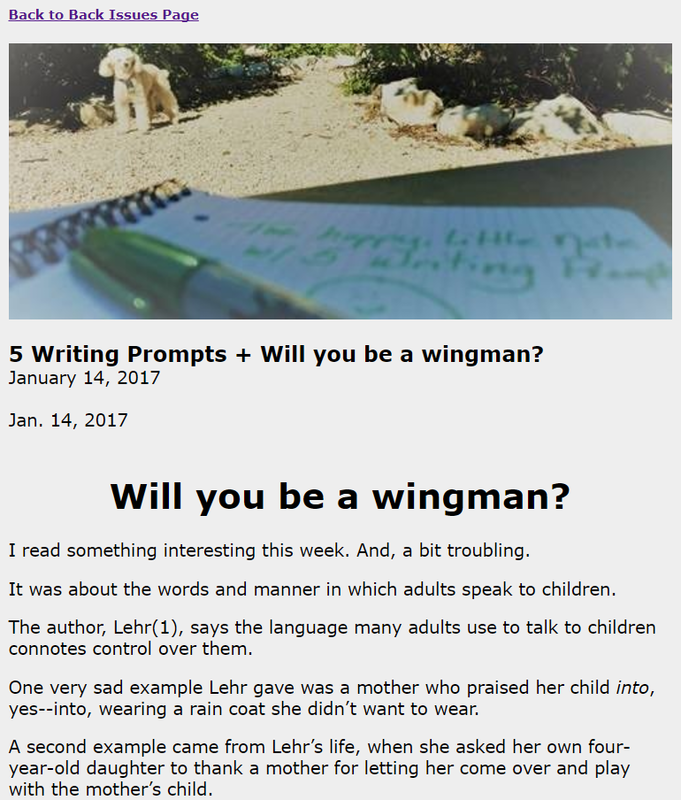 Five or more original writing prompts. 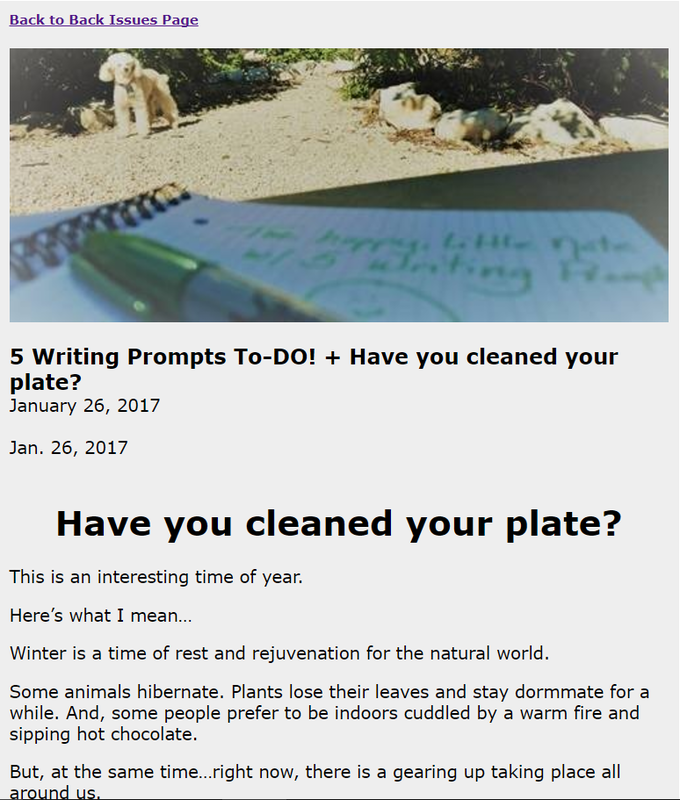 Speaking of writing prompts above, you heard me correctly...each newsletter has at least 5 original writing prompts I wrote myself specifically for that newsletter. So often when people like something, you see it over and over on the web... the same ideas just repeated by different people. That's not the case with these writing prompts. They are new. I write them fresh with each newsletter--just as I would for my own classroom. New research that may help you. I am a researcher. I look for things constantly that teachers, life-long learners, and writers may find useful. If I find something interesting and helpful, then I'll share. And, if you don't think something is helpful, you can stop reading it. Or, you can unsubscribe. Writing ideas--lots of them. Perhaps, not all at once. Each newsletter is focused around one central theme or idea. So, you aren't going to get a list of random ideas each time... you'll get a list of prompts, yes. But, the ideas I share accumulate over the course of your subscription. On occasion, I may, however, have a list of things within the monthly letter,...but the list will fit with the newsletter's theme. Teaching ideas. I have taught writing for many years. Some things I've tried worked great, others not so much. It depends on so many factors. Because of my experience, I will often share tips and things that may help you help your students. Latest updates on SBWriting.com. 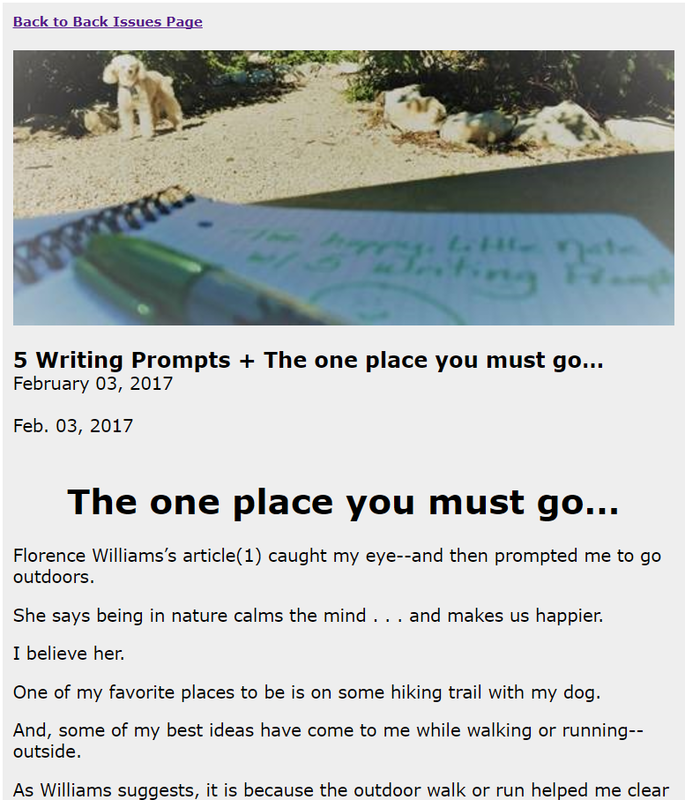 The newsletter is short and will always have at least 5 new writing prompts to get you or your students thinking. But, I will also let you know about the latest webpages on SBWriting.com or any new SBWriting.com products or services you may find helpful. It's easier for subscribers to find the new stuff, because I tell them. :-) You'll find these updates usually at the bottom of the newsletter. No daily emails. Yes, I'm too busy. While I would love to appear in your inbox daily, I just can't. Plus, while I appreciate a great newsletter, I personally don't have time to be bothered every day, even if it's good. (I just don't have the time to read all that with everything else I have to do and read. And, I'm presuming you might be too busy too.) This newsletter is sent once weekly, usually on Mondays...unless for some reason I become too busy to write one. Which, can be the case. (Sorry.) If that happens, then it arrives less than weekly. If you're ready to start receiving SBWriting.com's newsletter, be sure to subscribe below. I look forward to visiting you in your mailbox! P.S. Here are the most recent back issues, or take a look at the ones below. Have You Cleaned Your Plate? Will You Be A Wingman? Want to Subscribe to SBWriting.com's Free Email Newsletter? Need creative writing prompts--and quick??? Here are some to spur creativity when you're in a pinch. Some people go Griswold with their light displays. 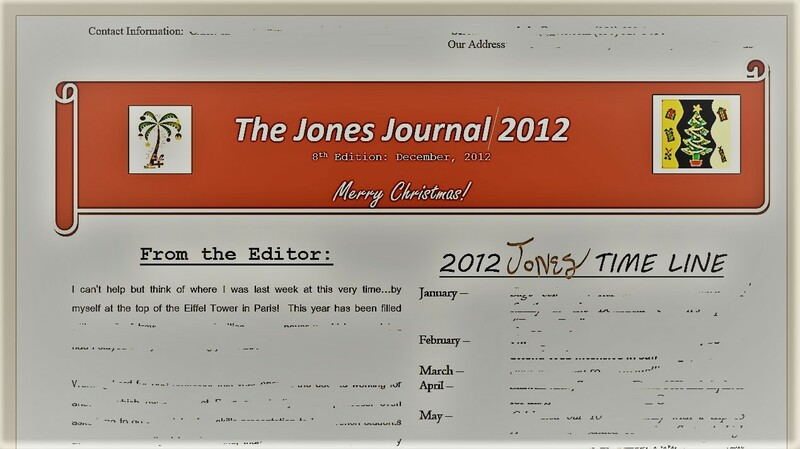 But, I like to do something similar with my annual Christmas newsletter. 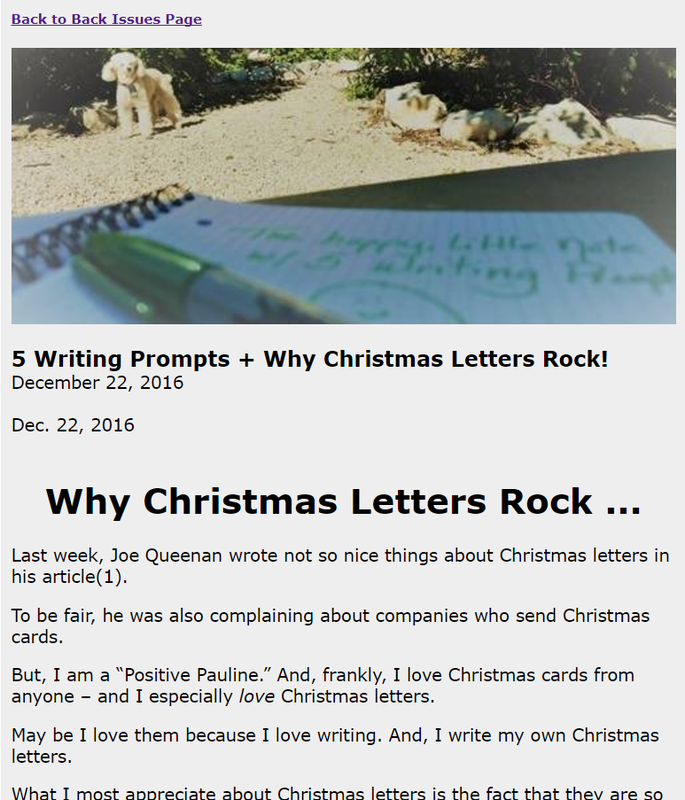 Here are 7 tips for writing your own custom Christmas letter. English grammar can be confusing, but a good place to start is with the four basic parts of speech. Here's what they are ... and some examples. Reflective writing is a highly abstract writing activity where the writer reflects on an experience in order to better understand him or herself and the world in which he or she lives. © Copyright 2013 - 2018 SBWriting.com. All rights reserved. No reproduction permitted without permission.